The Dacora Super Dignette came as gift from my cousin, together with four other cameras. 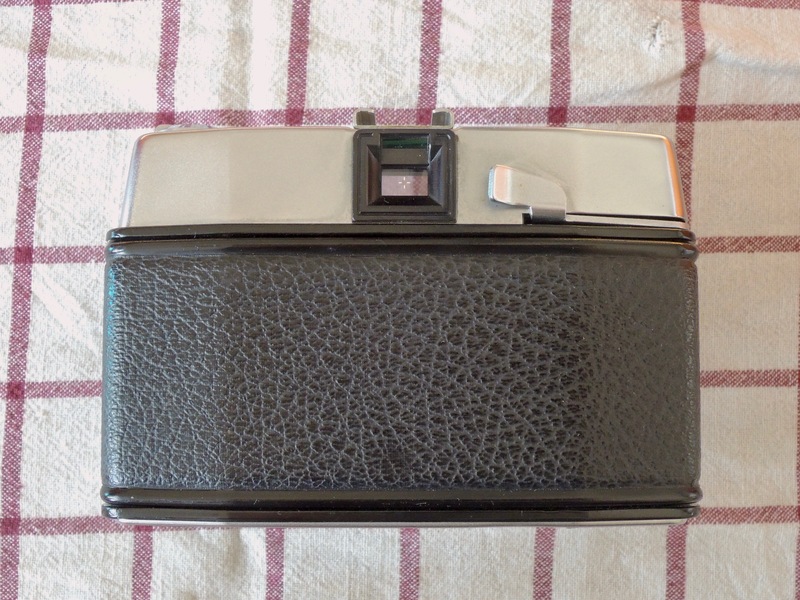 It once belonged to my uncle and served as a small “everyday” alternative to the medium format Franka Solida II L and the complex Exakta Varex VX SLR. 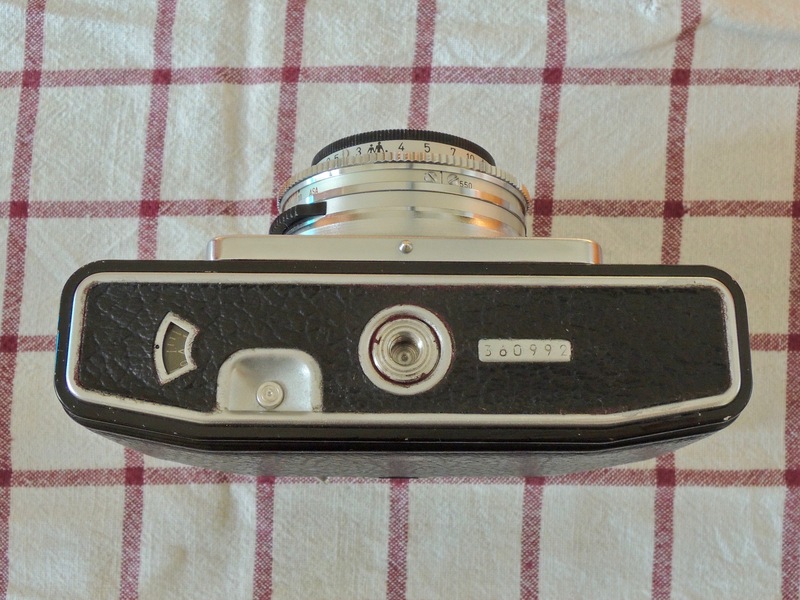 The Dacora Super Dignette (also sold as Ilford Sportsman) is a manual viewfinder with a coupled selenium light meter and a f 2.8 45mm lens. The camera was build by Dacora in Reutlingen. The Super Dignette was build in four versions (1956, 1958, 1960 and 1962), mine is from the third series. They also came with various shutter/lens combinations. 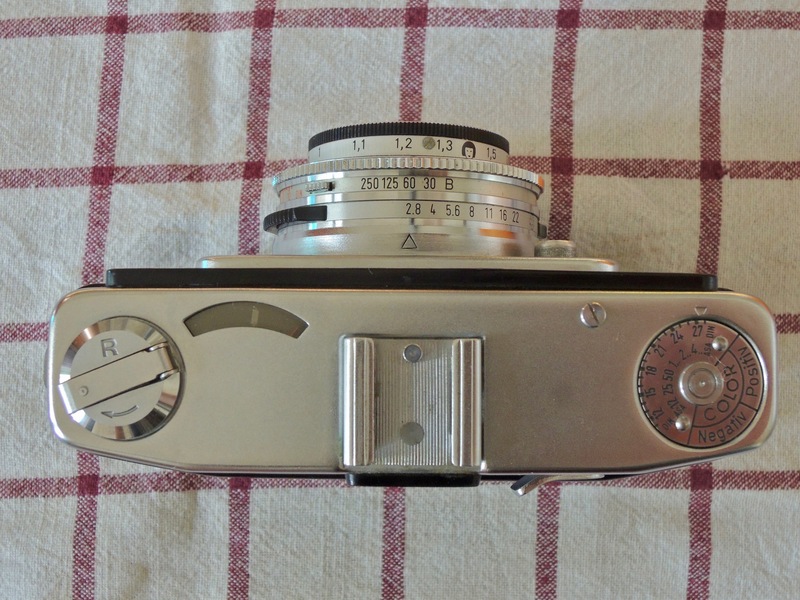 Mine has a Prontor 250 LK shutter (whatever this means) and the lens was made by Optische Werke Steinheil in Munich. (Tip: if you ever visit Munich, go to the non related “Steinheil” restaurant and get one of the best Schnitzel in the city). Maybe this body-shutter-lens variation/mess confused some consumers then as much as me today, so they went for the Japanese cameras, were mostly everything was build by one company. Anyway, it’s a great camera with an unusual design, especially the placement of the shutter release: it’s build on the front, and has to be pressed in and not down. The idea was that a force in the z-axis might cause less shaking then the usual push down buttons or levers. Obviously my uncle liked it: the Exakta takes the same approach. Besides the light meter the camera features the usual extras of the time: accessory shoe and PC sync for flash, tripod mount and a cable release. Also, the viewfinder’s front is mirrored, for what we call nowadays ‘selfies’. Open the back by pulling the small lever on the side. Pull out the rewind crank. Insert film and close. To set the film speed (old DIN numbers here) press the small button on the speed dial ring on the lens and turn the ring accordingly. To set the right aperture and shutter speed, use either the indicator on the camera’s top or in the viewfinder. I usually do the setting with the top and the the fine adjustment trough the viewfinder. Aperture ranges from f 2.8 to 22, shutter speeds are ‘B’, 1/30, 1/60, 1/125 and 1/500. Guess the distance or use the zone focus symbols on the lens, which has also depth of field marks. Shoot, advance with the advance lever, shoot again. The picture counter on the bottom (like on the Zorki 10) tells you when it’s too rewind, which can be done by pressing the button next to it and the use the handy rewind crank. You can also try to press this button while advancing the film and produce double exposures. In low light, attach a flash using a PC sync cable, and set the shutter speed to 1/30. The Dacora gives you full manual control in a not too big package, has a nice 60s design and is fun to use. 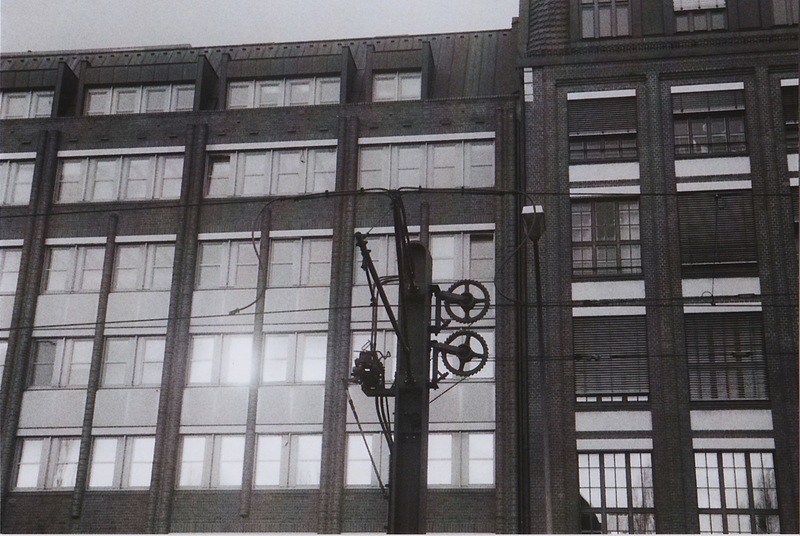 Sadly I had bad luck with it: while testing the first roll, i dropped my bag and the camera seemed to took light damage. So I was only to get few (non personal) pictures out of it. 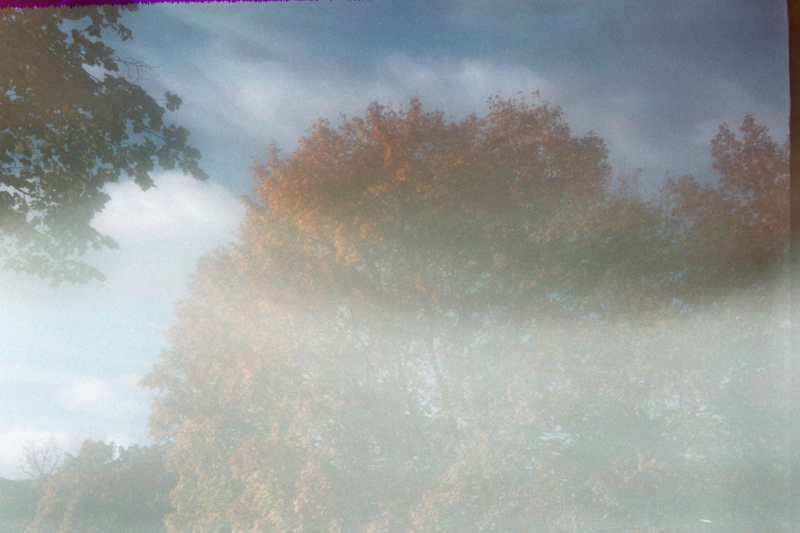 The second roll only produced few “ghostly” shots. So it rests now on the repair shelf. Use the mirrored viewfinder to present yourself to your readers. Hey i have the same camera and i want start using it. I found your post really healpfull i just wanted to ask what the Pos. and Neg. sign at the top of the camera means. Hi Vicky, as there are no + or – signs on mine, I sadly cannot answer this. Which Dacora do you have? 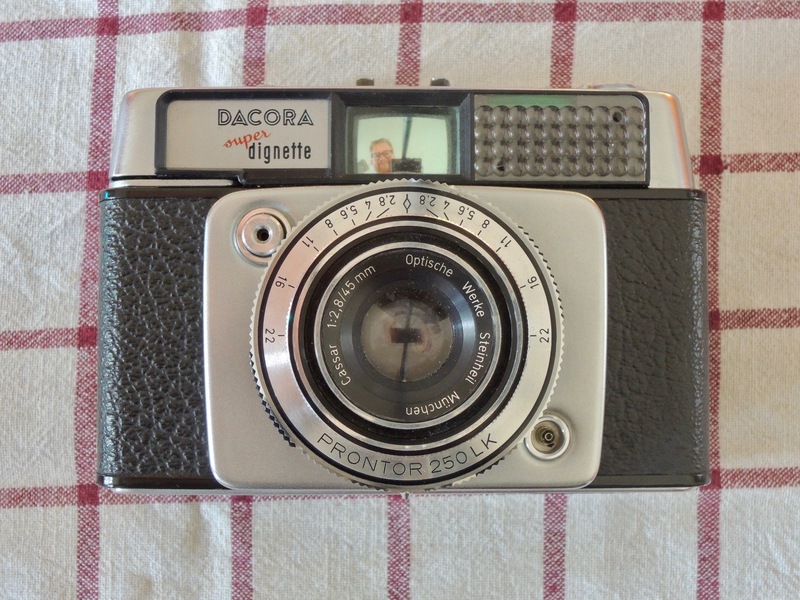 I have THE DACORA SUPER DIGNETTE but a silghtly different model.. As i saw there are + – signs on the camera in the pictures . Actualy on the top (on the other side of the light meter ) there is a „circle“ with DIN numbers and also positiv. and negativ. I am sorry i can’t descride this well.. Thank you anyway! Ohh is just a reminder that was my question! Thank you very much! There is no symbols i probably put it wrong i was talking about the words positiv. negativ. not the symbols.